when deciding what’s for dinner, usually it comes down to one thing. how many of the ingredients do i have on hand? 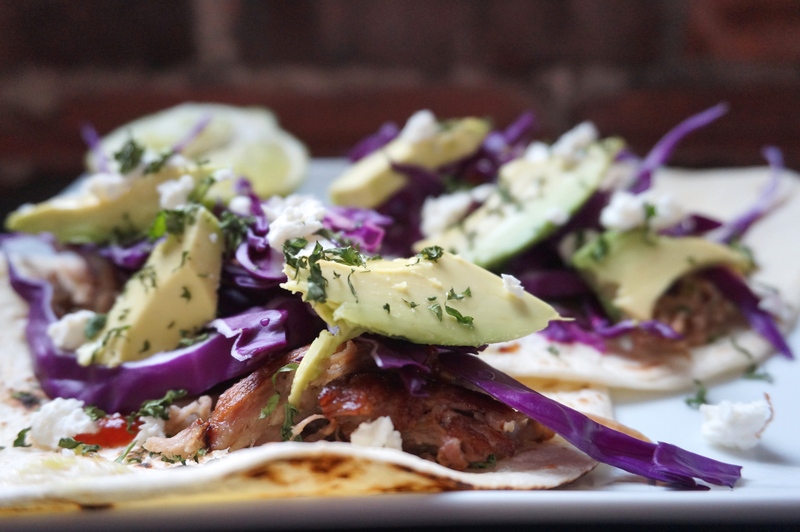 with only 5 ingredients for these carnitas, i was almost there and sans pork shoulder. a quick trip to the west side market and 7 bucks later – i was set. while it does take a few hours in the oven to braise, there is virtually no prep or hands on work, more time to watch all of the amazing (slash terrible) bachelor girls squirm. 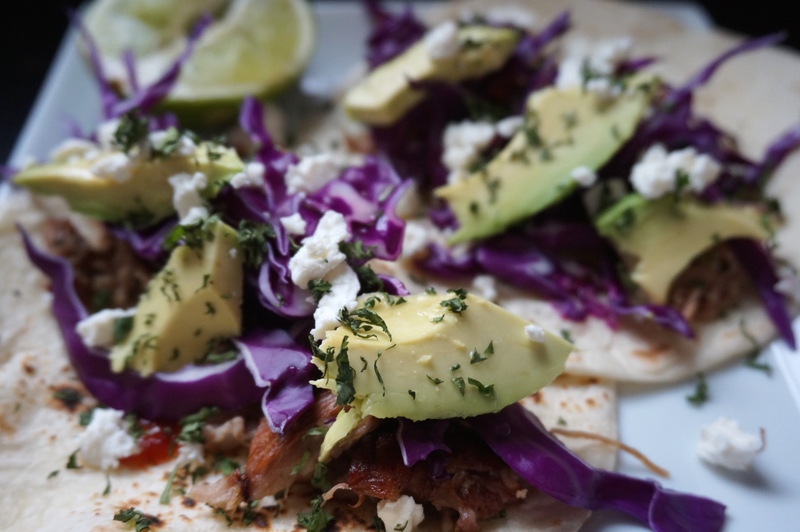 toppings: shredded red cabbage, onion, feta cheese, avocado, cilantro, lime wedges – go wild. preheat oven to 325. put your olive oil in a dutch oven over medium high heat and brown pork shoulder on all side, should take around 8 minutes. add remaining ingredients (coke, soy sauce, hot sauce, optional lime zest) and bring to a boil. use enough coke so it is halfway up the pork. cover with the lid slightly askew and put into oven for 3-3.5 hours turning every 30-45 minutes. once the meat is falling apart, transfer pork to a large bowl and shred with two forks. if you’d like your meat a little saucier, add some of the liquid – not too much, its sweet! i didn’t find it necessary to add any. to assemble tacos: heat tortillas directly on burners for about 15-20 seconds or until charred to your liking. garnish with whatever toppings make you smile and serve.